Welcome to the Cool, Calm, and Connected ZONE. Enjoy our natural aromatic hand-crafted kratom soaps, incense, & candles. Are you driving on the freeway 10 heading east/west or visiting the area? Contact us at 760-206-3236 or chat with us. Hablamos Español. Estamos aqui para servirles. We do not ship to ALABAMA, ARKANSAS, SARACOSTA COUNTY IN FLORIDA, DENVER IN COLORADO. SAN DIEGO COUNTY IN CALIFORNIA, INDIANA, JERSEYVILLE IN ILLINOIS, UNION COUNTY IN MISSISSIPPI, OHIO, ONTARIO IN OREGON, RHODE ISLAND, VERMONT, WASHINGTON D.C, AND WISCONSIN. We had to find alternative ways to accept payments. Click here to learn more about the payment processing conundrum within the kratom industry. WE ARE ONLY ACCEPTING PAYMENTS VIA ELECTRONIC CHECKS (YOUR ROUTING AND ACCOUNT NUMBER ARE REQUIRED), INVOICE THROUGH TEXT MESSAGE OR EMAIL/AND CASH. ONCE YOU PLACE YOUR ORDER, WE WILL CONTACT YOU RIGHT AWAY VIA TEXT MESSAGE. Our Payment Gateway allows clients to make a payment by entering a routing and account number instead of using a debit/credit card. Although there are some limitations associated with this method of payment, please know that we are here to help make the transition go swiftly, smoothly and securely. Orders placed before 2:00 PM Eastern Time, payment USUALLY clears on the same day. Orders placed any time after 2:00 pm Eastern Time, the payment USUALLY clears the next business day 9:00 AM Eastern Time. Orders placed over the weekend will not clear until Monday 6:00 AM Eastern Time. Packages are mailed within 24 to 48 hours Monday through Friday. Purchases placed over the weekend are shipped on Monday afternoon in order to allow sufficient time for the payment to clear. IF YOU CHOOSE THE TEXT/INVOICE OPTION AT CHECKOUT, YOU WILL THEN RECEIVE AN INVOICE VIA EMAIL OR TEXT SO THAT YOU CAN MAKE THE PAYMENT. PLEASE UNDERSTAND THAT PACKAGES WON’T BE SHIPPED UNTIL THE PAYMENT HAS CLEAR. YOU WILL RECEIVE A TRACKING NUMBER VIA EMAIL FOR SHIPPING AND A CONFIRMATION FOR LOCAL PICKUP/DELIVERY VIA TEXT/EMAIL. You will have all these options AT CHECKOUT. This is a stress-free space resonating at a high frequency. Keep the great energy flowing. No rush orders. Please plan ahead, and avoid talking and/or making any references about consumption. We reserve the right to refuse service to anyone at anytime for any reason. Thanks in advance for understanding, and please read our terms and conditions by clicking here. Please text us at 760-206-3236 for any questions, comments, concerns and/or ideas. Samples and gifts fluctuate throughout the month and include randomly selected gifts and Kratom samples. Your happiness is our desire! Mystical hand-crafted Kratom Bar Soap $7 (Uniquely crafted with natural herbs and organic essential oils). Mystical Incense $5 (Seven Chakras, Palo Santo, Flower of Life, White Magic, and California White Sage Masala Sticks). For larger quantities/bulk of kratom and for custom bar soap orders, please contact us directly via phone, text, email, or chat. We have a direct and honest source. Discover our daily cosmic special and become part of the Kratom of Life sacred sanctuary. Your Conscious and Visionary Sanctuary! 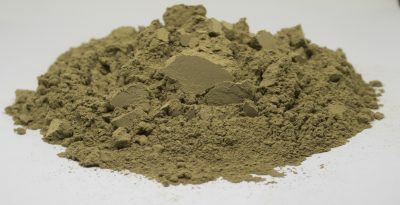 Kratom, scientifically known as Mitragyna speciosa is a beautiful deciduous tree that grows primarily in the sacred jungles of Indonesia, Thailand, Malaysia, and other tropical regions in South East Asia. Interestingly enough, there is anecdotal evidence suggesting that these trees can also grow in Southern California, Texas, and Florida. These indigenous trees belong to the Mytragina genus, which stems from the coffee family (Rubiaceae). Kratom trees have been part of the traditional culture of South East Asia for thousands of years. These magical and spiritual trees are widely known among the natives of these countries. Based on their oral tradition, kratom continues to be venerated as a powerful and sacred folk herbal preparation. Natives acknowledge that kratom promotes wellness, balance, and support. On the other hand, kratom is still relatively new in Western Culture. As a result, kratom continues to be misunderstood. According to the American Kratom Association, 5 million people purchase Mitragyna speciosa in the United States of America alone. 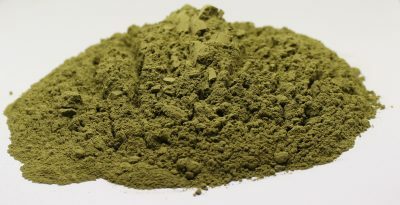 It is believed that kratom started appearing in America in the early 2000s. Veterans were one of the first Americans to befriend Mitragyna speciosa and to learn about these trees. While the indigenous kratom trees enjoy growing in rich and fertile soil in order to preserve their vitality, their geographical location, the cultivating process, and the harvesting time are the fundamental factors responsible for permeating the kratom leaves with unrivaled properties. Something curious about kratom trees is that they adore the warm shade. Additionally, the natives of South East Asia are divinely connected to the kratom trees. These trees have been revered and used in ancestral ceremonies and spiritual rituals. In fact, friendly Mitragyna speciosa flowers play a vital role in the society of South East Asia. The magnificent yellow flowers are a major symbol of the harmonious native culture, and the flowers are frequently used as positive and vivacious artisanal decorations/ornaments. It is important to point out that natives of South East Asia have been known for building peaceful communities near kratom trees. The magic, the beauty found within the kratom leaves dates back to thousands of years. Our ancestors knew about kratom before, and the western world is barely finding out. #BecomeKratomLiterate! 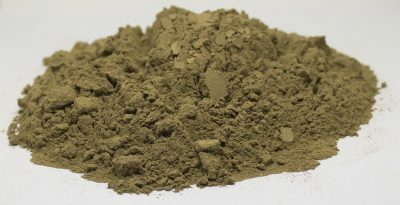 The kratom industry has been known for being a family oriented industry. NATURE GIVES US MANY MARVELOUS PLANTS, BUT NOT ALL MITRAGYNA SPECIOSA IS CREATED EQUAL! NOT ONLY DO WE SUPPORT THE FRIENDLY AND EARTHLY LOCAL KRATOM FARMERS OF INDONESIA BUT WE MAKE SURE THAT ONLY MATURE LEAVES ARE METICULOUSLY CHOSEN TO PRODUCE OUR NATURAL KRATOM POWDER AND OUR MYSTICAL HOMEMADE KRATOM SOAP. IN ORDER TO PRESERVE THE SACRED NATURAL PROPERTIES FOUND WITHIN THESE SACRED LEAVES, WE MAKE SURE THAT THE DRYING PHASE IS DONE IN A POSITIVE, REFRESHING, COOL, AND PRISTINE ENVIRONMENT. OUR KRATOM IS KEPT IN AIRTIGHT CONTAINERS. OUR KRATOM IS AS NATURAL AS IT GETS. MOTHER EARTH HAS TAUGHT US THAT MAJESTIC KRATOM TREES JUST NEED SUNSHINE, AIR, WATER, CARE, AND NUTRITIOUS EARTHLY MINERALS TO FLOURISH. OUR RAW KRATOM IS PERFECT FOR HAND-CRAFTING SALVES, CANDLES, AND SOAP MAKING IN THE PRESENCE OF YOUR LOVE ONES. BE CREATIVE AND LET THE SPIRIT OF KRATOM INSPIRE YOUR ART. WE ARE EXTREMELY FORTUNATE TO BE ABLE TO OFFER YOU OUR ENDEARING LEAVES. IF YOU HAVE ANY SUGGESTIONS, OR IF WE DO NOT CARRY YOUR FAVORITE STRAIN, PLEASE LET US KNOW. WE DO OUR BEST TO ACQUIRE THEM AS SOON AS POSSIBLE. THE PHILOSOPHY OF OUR PACKAGING IS THAT KRATOM IS A GIFT, VIDA, A BLESSING OF NATURE AND IT IS EXPRESSED IN THE PECULIAR WAY WE PRESENT OUR PRODUCTS. EACH PACKAGE YOU RECEIVE FROM US IS MADE WITH LOVE AND THE BEST COSMIC VIBES. WE SINCERELY THANK YOU FOR CHOOSING THE KRATOM OF LIFE VISIONARY SANCTUARY AS YOUR TRUSTED SOURCE. IT IS OUR HONOR TO BE GIVEN THE CHANCE TO ASSIST YOU. EACH PURCHASE IS A STEP CLOSER TO OUR VISION, TO THE MATERIALIZATION OF OUR SPIRITUAL SANCTUARY. WE ARE THE AYA-KNIGHTS. WE INVITE YOU TO READ OUR ABOUT PAGE SO THAT YOU CAN LEARN MORE ABOUT OUR VISIONARY MISSION HERE ON PLANET EARTH. Choose Your Organic Mitragyna Speciosa (Kratom) Powder Wisely! 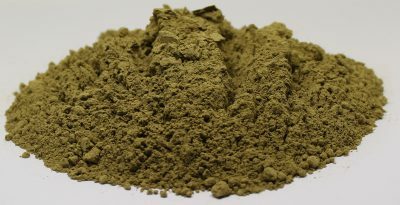 From the finest cultivator of the sacred evergreen jungles of South East Asia, we are proud to be able to present to you our unique and hand-picked kratom powder with pretty colors, magnificent aromas, and with a delicate texture as soft as the clouds. Kratom of Life is an ANCESTRAL SANCTUARY where the old ways and the present harmonize. We stand for ultra quality, freshness, purity, compassion, transparency, reliability, friendliness, and affordability! We are here to provide peace of mind to our beloved friends. You are greatly appreciated! STAY TUNED. MORE SACRED PLANTS, INCENSE, AND ARTISANAL CRAFTS ARE ON THEIR WAY TO OUR SPIRITUAL SANCTUARY. For sales, comments, questions, or concerns contact us at (760)206-3236 by calling or texting. Have questions, comments, concerns, or ideas?